A blend of truth: The best personal blender that you can buy! A blender has become a kitchen staple over the years. What used to be an appliance solely for making fruit shakes has evolved into a multi-function kitchen tool. It now goes beyond just smoothies, some models can even chop nuts and puree some vegetables. It is no wonder that personal blenders have become a popular option. Some people have replaced the big clunky models with more convenient and easy to use personal blenders, while others choose to have both variants in their kitchens. I bought one of these personal blenders to just make my protein shakes. However, I slowly but surely found myself using it to help me with a myriad of other kitchen duties. One time, I used it to grind some basil leaves to make pesto sauce for pasta and it was definitely good enough to do the job (plus it saved my arms from being sore in the morning). After that, my old large blender was rarely used again, except for when I needed to make a large batch of smoothies. But before you just throw out your blender, you will need to choose the right model first - a personal blender that's built to withstand the harsh job of blending different ingredients while being compact enough to use easily. So if you are in the market searching for one of these kitchen wonders, let us to help you to reach that decision. As a big advantage of having a personal blender is its compact size, buy something that you can use to its full advantage. Get one that you can easily grab and quickly make those smoothies and healthy shakes. What good is a small blender when it can barely slice a piece of vegetable? The size of the motor is much more important than its portability. So, if you can get a small blender with a large motor, then you’ll have the best personal blender you can buy on your hands. In today’s world, we all want something done with the simple push of a button. Whether it’s making daily reports or talking on a mobile phone, we always want the latest voice activated and touch operated functions. Personal blenders are no different, we all want that raspberry mango shake in an instant, just by pressing some buttons. A good personal blender needs numerous built-in settings to add more convenience. Most of them are preset, so whether you want to relax with a fruit shake or need a warm soup when you have the flu, all you need to do is simply press a button. Blenders need to be tough if you use them for breakfast, dinner, and lunch. They are true workhorses of the kitchen and it is only proper that you get one that will withstand all of the harsh chores that you give it. Personal blenders must have a secure attachment from the base to the cup with minimal movement. Many people who buy personal blenders often use them for health reasons, including me. So when it comes to personal blenders, a good portable one that is easy to grab is a must. When you return home from a five-kilometer run, the last thing you want to do is deal with all the fuss that comes with making your protein drink. So look for one with good cup options that is sturdy and ergonomic to use. This is something really important to take note of. There is absolutely no point in getting one that has a good strong motor but only flimsy blades to blend your ingredients with. Stainless steel blades are the best, as they are sharp, durable and easy to clean. They don’t leave any odor and can last you an entire lifetime with proper love and care. 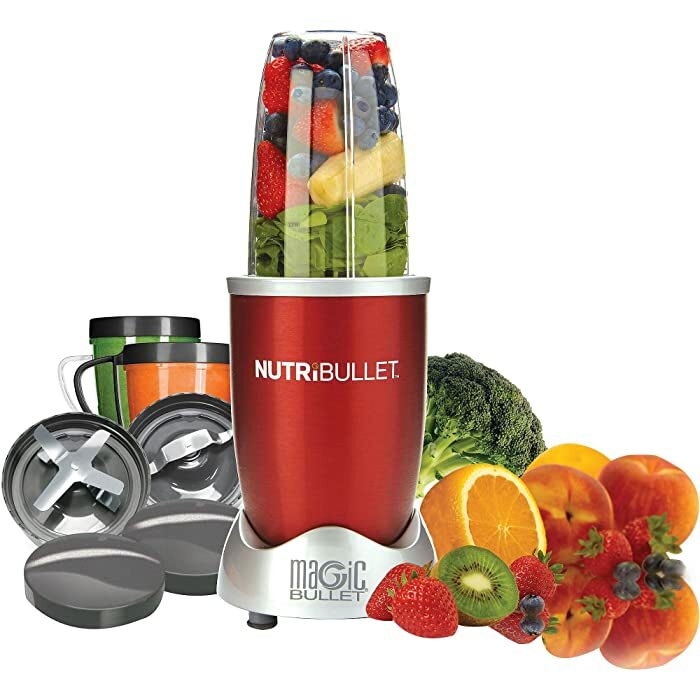 If you are one of those people who wants a no-fuss personal blender, then the NutriBullet 12-Piece Hi-Speed Blender/Mixer System could be the one for you. The cup easily attaches and unmounts via a simple push and twist method. It is the best choice when you are on the go and need a quick juice fix by using a blender. The construction is pretty sturdy so you won't have any nasty spills on your countertop to clean up with this baby. It works wonders with fruit and vegetables as it can easily shred them. There is a good-sized motor with good power, although it will have some trouble crushing large ice cubes. One 24 oz. tall cup. Two 18 oz. short cups. Two comfort lip rings (one with handle). When it comes to portability, the Magic Bullet sits somewhere in the middle. It is not that bulky, but it is definitely not small. If you really need to travel with it, then it won’t be too much of a burden. There is another alternative on the list, however, if you are seeking something that you can take on trips and reunions. Unbeatable grab and go convenience. Extra blades add more versatility to its preparation capabilities. The blade will have a hard time crushing large ice cubes. If you are looking for the most portable personal blender without sacrificing on power, then behold the small wonder that is the Vitamix S30 Personal Blender. Weighing in at only 5 pounds and with dimensions of 5.9 x 5.9 x 14.9 inches, this personal blender is a definite must have for those who are looking to travel with their kitchen gadget. And if you think that portability means having to sacrifice some power, then you are wrong. This little beast packs a tremendous 790 watts of shredding power that makes it even more powerful than the bulkier Magic Bullet. This combination of scale and power is a rarity when it comes to personal blenders. Of course, not everything is smells of roses, as the Vitamix S30 is a tad bit too expensive for my taste. It more than triples the retail price of the Magic Bullet, which is the ultimate downer in my view. 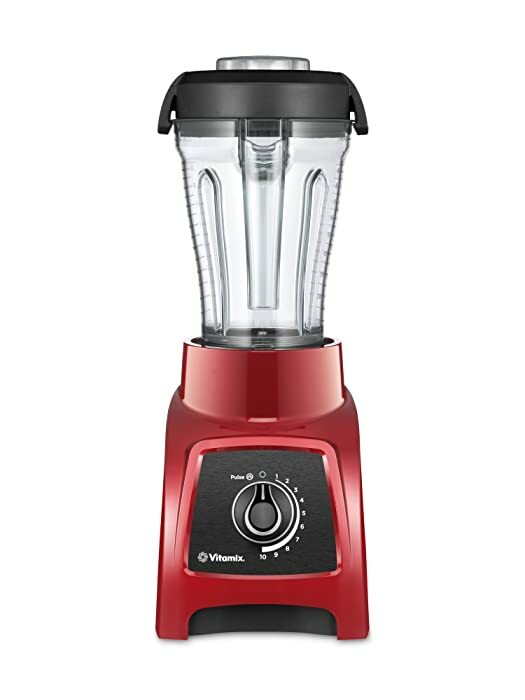 Going back to some positives, the Vitamix S30 sports a sleek, elegant design in cherry red that will definitely look good in your kitchen. It is strong enough to crush ice and frozen fruits, and you can also make soups easily with this handy tool. Personally, I believe the Vitamix S30 is what a personal blender should be all about, until you take a look at its hefty price tag, that is. For those who just do not want the fuss of guessing the time and power settings when blending their food and drinks, this is a personal blender that takes all the guesswork out of the process with preset programs that do all the work for you. The Nutri Ninja Auto-iQ Blender, as its name suggest, does the thinking in the kitchen for you, including how much power is needed for whatever your blending needs are. At 1000 watts you can be sure this powerful beast will slice through all the ingredients like, well, a ninja. The design is pretty sleek and modern, which is a plus if you like the look. 1000-watt motor base with Auto-iQ technology. 3 Nutri Ninja Nutrient Extractor Cups with Sip & Seal Lids. 1 set of Pro Extractor Blades. This package is quite affordable for those of you looking for a good quality smart personal blender. One drawback? This machine is pretty loud, so it might not be a good option for those with thin walls. Powerful 1000-watt motor can almost do anything. Sturdy built and easy to clean. Motor gets pretty loud and hot. Those of us with really tight budgets who still want to own a good personal blender might set our sights on the Oster Simple Blend 100 Blender, which has an added blend and Go Cup. This machine has a 700-watt motor, so you could never call it underpowered. Basically, it can do a lot of things most personal blenders are able to do. 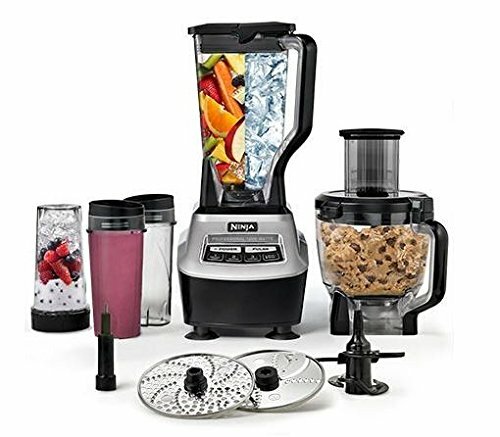 From simple smoothies to purees, this very affordable personable blender does a decent job doing all these different tasks. It is also a bit on the light side at only 4.7 pounds (mainly due to having a much cheaper plastic construction on some parts). It says on their website that it can crush ice from cubes in seconds. While it definitely can do this, you would need to break the ice slowly before getting it to crushed consistency. I guess this is where the 10-speed function comes in handy. The blend and Go Cup, which is separate from the blender jar, is quite a nifty feature. It gives you the option to make drinks for one person but you can also easily use the blender jar for at least more one more guest. Overall, the Oster Simple Blend 100 with Blend and Go Cup is quite a good buy for the price. Blend and Go cup is separate from the blender jar. Parts are not easy to clean. There are those who want a bit of everything, from making personal smoothies to preparing big dinners. If that's you, then you should definitely give the Ninja Mega Kitchen System a long hard look. 1500-Watt/2 Horsepower professional kitchen system. XL 72 oz. 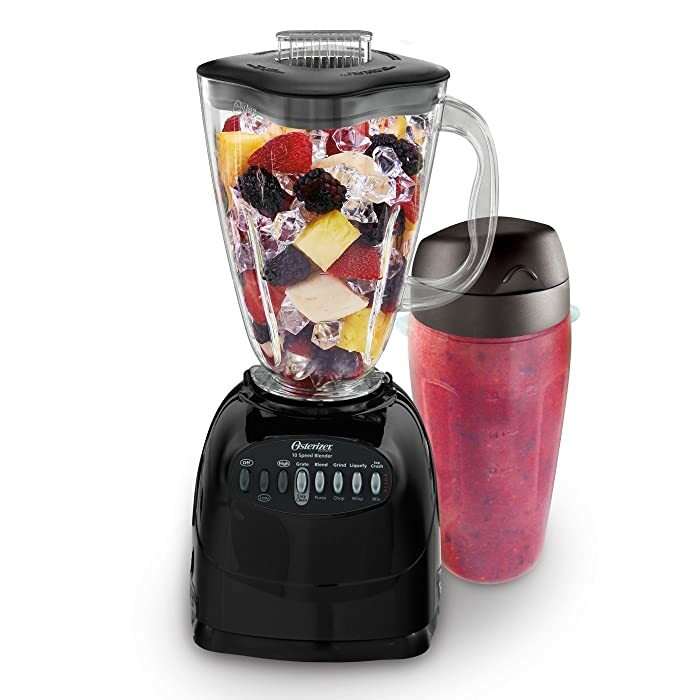 Total Crushing Blender that crushes ice and frozen fruit in seconds. 8-Cup Food Processor Bowl with Feed Chute Lid allows you to make 2 lbs. of dough in 30 seconds. Reversible Slicing/Shredding Disc & Grating Disc for perfect, even results. (3) 16 oz. Nutri Ninja Cups for personalized drinks on the go. Yep, you read that right, this blender can make dough. This blender's 1500-watt motor can actually make dough that you can bake and do a mean smoothie while you are at it. It can slice, shred, and grate if ever the need arises. It has separate discs which makes it perfect as a multi-prep machine; definitely a dream for those who wants their food done easily. And, oh yeah, it also has three personal blenders that can blend your drinks so that you be on your merry way. Perfect food prep machine, from slicing to shredding to grating. Converts into a low-powered food processor. Includes 3 blend and Go Cups. So there you go, I hope to have shed some light for all you road warriors and space savers with our best personal blenders list. If you have any comments or stories regarding this small kitchen wonder, feel free to write them in the space below. How To Ripen Pineapple: Two Tried And Tested Methods! 5 Of The Best Citrus Juicers On The Market Today! How To Store Peaches At Home To Last A Long Time? How To Make A Milkshake Without A Blender? It’s Simple As 1,2,3! The Best Iced Tea Maker That All Tea Lovers Should Get! 8 Best Oranges For Juicing To Boost Your Immune System! How To Make A Smoothie Without Yogurt: Some Fruit-Mix You Can Try!